Assaf benefited from the lectures and from conversations with other students in the program – they exposed him to new subjects in recent researches in many fields of science. It was very interesting, and triggered him even more to do research work. Assaf participated in a research in the field of organometallic chemistry in Mark Gandelman's lab, under the supervision of Yuri Tulchinsky. They explored the chemistry of complexes with nitrenium ligand, a new type of complexes which was recently discovered by his supervisor, and they've managed to obtain and characterize more complexes of this exotic ligand, with different types of metals. This kind of complexes might be used in the future as catalysts for important reactions, because of their unique properties. Recommendation to Program participants: "I recommend the students in the program to make use of the opportunities they have while being in the program – You can talk to the other students in the program and to your advisor, so you'll get to know the academic world better, and find out what interests you." 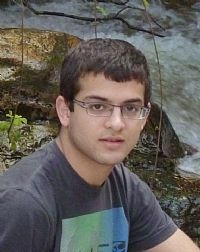 Today (2012): Assaf is serving in the IDF.